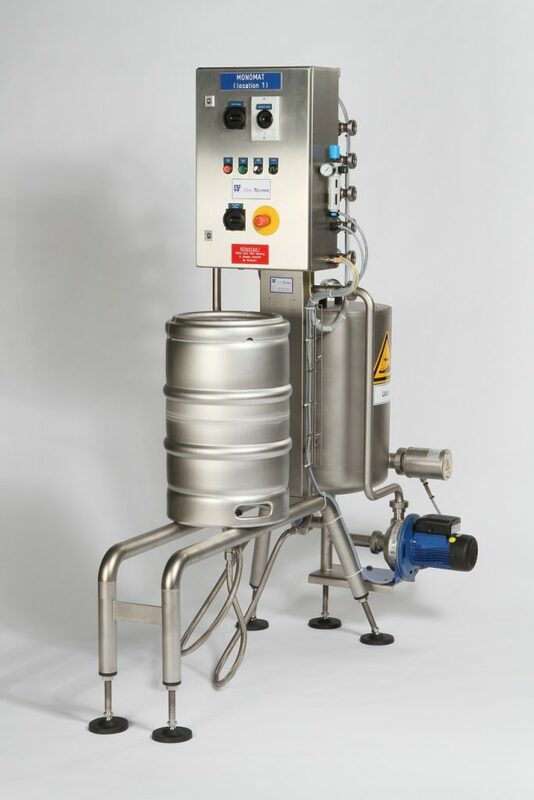 The MONOMAT is used for hygenic cleaning of the inside of returnable KEGs. The infeed of the KEGs and the discharge of the cleaned KEGs is done manually. The internal cleaning is done full automatically by means of soft- and hardware control. As an option we can supply a media station including filters and reducers premounted on a stainless steel frame.